We read with interest an article from CBS New York, a story about the use of hurricane-resistant glass in a window at the Florida school where a crazed gunman ran rampant recently, killing 17 people and sparking huge national exposure toward the gun debate in America. The article tells about the use of hurricane-resistant glass and how it actually mitigated the loss of more lives. 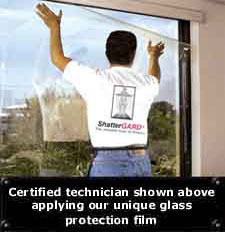 We have previously written about ShatterGARD, a sensational window film product made by our friend and colleague, Jordan Frankel of Global Security Experts Inc. This product can be applied to the surface of an existing glass window to dramatically increase the security of the window. The talk, in recent times about initiatives aimed at thwarting the increasing quantities of gun related shooting incidents tends to fall by the wayside with people demanding that our elected representatives attempt to alter the nations gun laws to attempt to mitigate the ever increasing deaths by gun. I understand the desire to change the law, but will that prevent the problems? I doubt it. Even though I grew up in a country that radically changed it's gun laws a generation ago and have since not experienced mass-murders by gun to the extent of previous, I am also a firm believer in Freedom Of Choice. The second amendment to the USA Constitution is a hotly debated topic across modern news, social media and in many discussion groups, almost everywhere you go. Having spent my entire working career in the security industry, I have been exposed to many products and services that can and do provide significant products and services to increase the security protection of our doors, windows, walls etc. 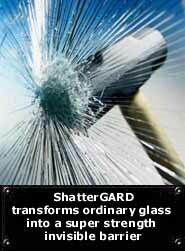 Bullet-resistant products have been around for many years and many of these products have been found to greatly increase protection from bullets and the smash and grab techniques of would be criminals. If the security of your loved ones is of concern to you, wouldnt it be a consideration to employ the use of products already in the market that can and do provide personal protections from gun related incidents, rather than attempting to change the law? I cannot be sure how long the article will be available to see. View the source below for the article. 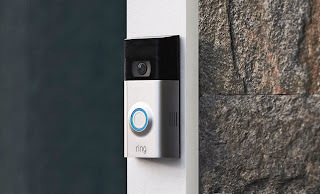 Ring, the IoT (Internet of Things) company who manufacture a unique doorbell product in the Smart category of home furnishings products space, have announced their acquisition by Amazon. Amazon continue to diversify their portfolio of companies, in attempt to upgrade their delivery services, with the purchase of Ring. Amazon developed a system recently called Amazon Key to help with the delivery of orders to customers without leaving packages outside homes or offices. 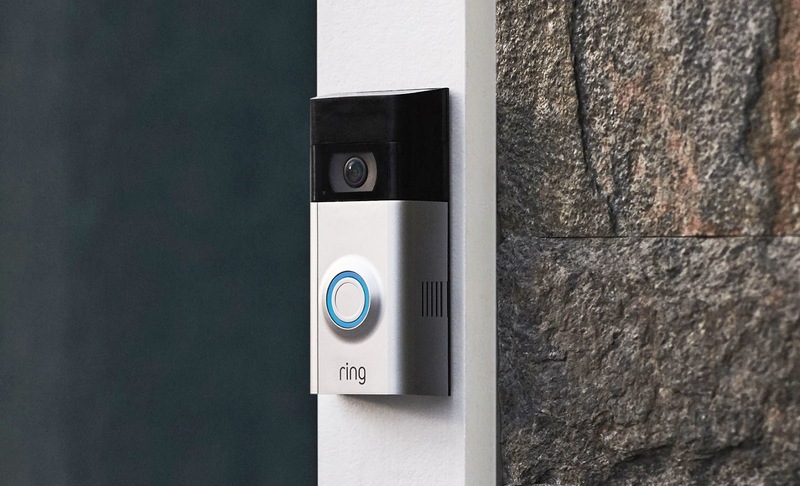 We recently wrote an article about Ring and their relationship with Skybell, the inventor of the technology and holder of integral patents that form the basics of the technology. The article describes a patent infringement lawsuit filed by Skybell, that now increases the interest in this story with this news about Amazon's takeover. We have written a few articles articles over the last 10 years, informing about various peepholes and camera products aimed at the entry door markets. Some of these products have seen market success, but few on the level that Ring have achieved. The IoT phenomenon has seen a great many new products enter the marketplace over the last few years and the physical and electronic security industry has become an area that many new producers are flooding the markets with all kinds of products, aimed at simplifying our lives. A great many manufacturers are producing many varieties of digital electronic deadbolts and door locks, many of them battery powered and wireless. The functions and appearances of the various products vary considerably and likewise the quality. Products like Yale, Lockitron, August, Kevo, to name a few have made deciding on the appropriate product for your home or office use, tricky indeed. New wireless and battery powered products appear to be coming to market almost everyday lately. The Smart Lock industry is valued at $30 Billion + and it stands to reason that many providers are aiming for a slice of the pie. Not to devalue the burgeoning industry, we have found that many of the available battery powered lock products suffer from power issues. Specifically the continuing requirement for end users to regularly replace batteries to keep their products in perfect continuous operation. We find that a great many customers, who installed the latest battery powered products, tend to replace batteries about twice in the early use of the products and then revert back to using the mechanical key portion (override) because they get tired of the constant need to change batteries, adding significantly to the cost to maintain their products, effectively diminishing the value of their expensive battery powered lock product. Mechanical and key operated products are largely maintenance free. Other issues not considered before purchasing can include, door and frame weathering, where doors and frames move with the changes of season preventing their motor driven products from aligning correctly into the strike hole (frame), adverse weather conditions - hot or cold temperatures affect battery life of externally mounted products. Many users enjoy the ability to continually operate their locks, manually (mechanically) by using the mechanical operating key. Many locksmiths across the world continue to supply and install great quality hardware that stand the tests of time and continue to provide almost maintenance free operation. I realize that many homeowners like the idea of keyless lock systems, but in reality a keyed lock system provides increased security over combination entry systems especially when you cannot control the number of people who may have shared or continue to share your door entry codes. What type of product have you on your doors? We are proud to continue representing the fabulous Serrature Meroni product lines to the North American market. Above find Serrature Meroni's corporate video that shows the region where the corporate office is located, some of the factory and offices and some of the staff that work therein. Serrature Meroni are one of Europe's leading manufacturers of specialty mechanical and electronic door lock products. A few years ago, we were pleased to be among the initial group of visitors to their new factory located near the fabulous Lake Como, just outside Milan, Italy. We continue to be the source for Meroni products in the North American markets. For experienced and understanding technical assistance in their product lines and availability, you are welcome to contact us for expert advice and support. We detest raising prices. Market conditions, especially manufacturer cost increases, import and customs duties increases, even outward shipping costs have all increased recently. We have been forced to enact our first price increase in 3 years for this high-demand product. We encourage you to purchase quickly, because this product sells out quickly. Our last inventory SOLD OUT in 3 months. The new cost as of today is US$146.75 plus shipping and handling. We prefer to ship with UPS or USPS. Shipping options include overnight economy air, 3 Day select, Ground to the lower 48. International shipping is by USPS and averages 7-10 days. In 8 years of recommending and selling this product, we have sold over 2000 units and are yet to have any reported failures. We maintain the manufacturers warranty of 12 months and offer a 30 day refund for unopened packages less a 5% restocking fee, for returns. To purchase, simply click on the picture at the top left of this site. An interesting article I read today has sparked my curiosity thanks to the well written, spelled and grammatically correct piece by it's author, Cliff Kuang. The article tells a story about Luke Schoenfelder, a former Apple junior policy wonk working in their Washington DC office. Apparently Luke decided, about 4 years ago, to get involved with a startup that was aiming to enter the already crowded IoT (Internet of Things) Smart-Lock market with an especially new designed product by talented designer, Thomas Meyerhoffer called Latch. Luke's upbringing from a large and old farm in Pennsylvania where he was reared, motivated him to become somewhat of an infrastructure geek, as he describes himself. The article goes on to tell about his early years and why he decided to get into the Smart-Lock business. You can read more about Luke and his involvement in Latch in the source article. There are many options today in the current consumer marketplace, offering interesting and useful attributes that are self contained in Smart-Lock products. When people think about Smart-Locks, often they might know about the August Smart-Lock product, which has been heavily marketed over the last few years and especially exciting is the recent news about August being acquired by lock industry behemoth Assa-Abloy. You can read an article we wrote recently about that here. Luke and Thomas teamed up to produce and market the product known as Latch. The video at the top of this page was made a little over two years ago and adequately shows the concept. Thomas Meyerhoffer is reknowned as another technology engineer who worked alongside Johnny Ive, the talented design engineer for Apple and influential in many Apple products, including the iPhone, Mac and Apple TV products. Manufacturers Prices Are Increasing Again - How Much Is Too Much? Distributors and manufacturers continue to increase their prices, driving up talks about inflation in our economy. We heard from one of our local distributors two days ago that a number of manufacturers (listed below) have decided to increase their prices as of February 2018.